Posted on April 16, 2015 by Editor Posted in Real Estate	. There are people in this world who are ultra-wealth, these are people whose net assets are US$30M or more. These people are called the Ultra High Net Worth individuals and in this world, there are about 211,275 UHNW of them. 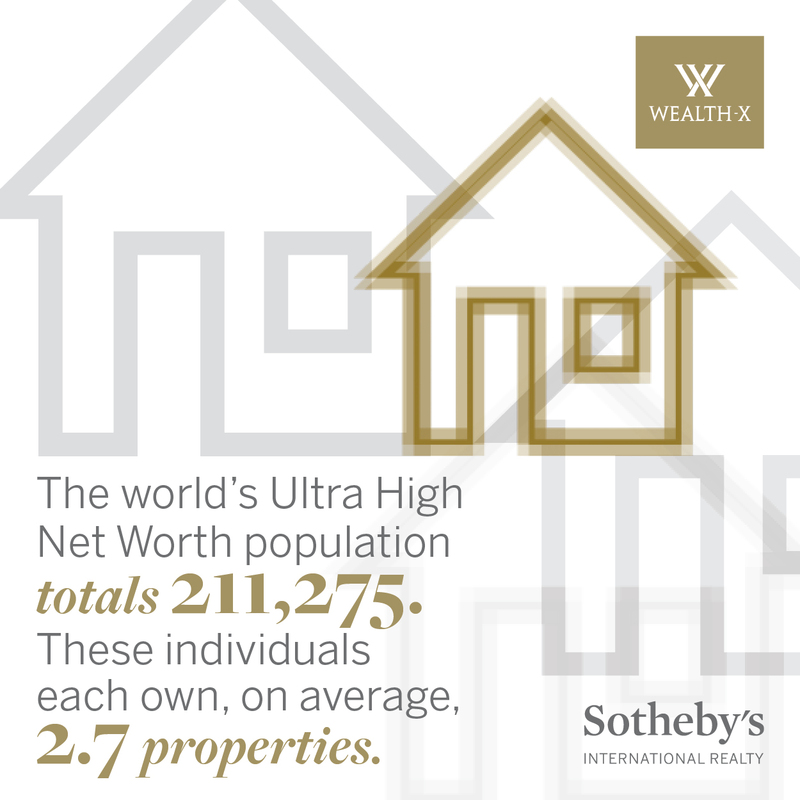 UHNW individuals invest in residential properties. 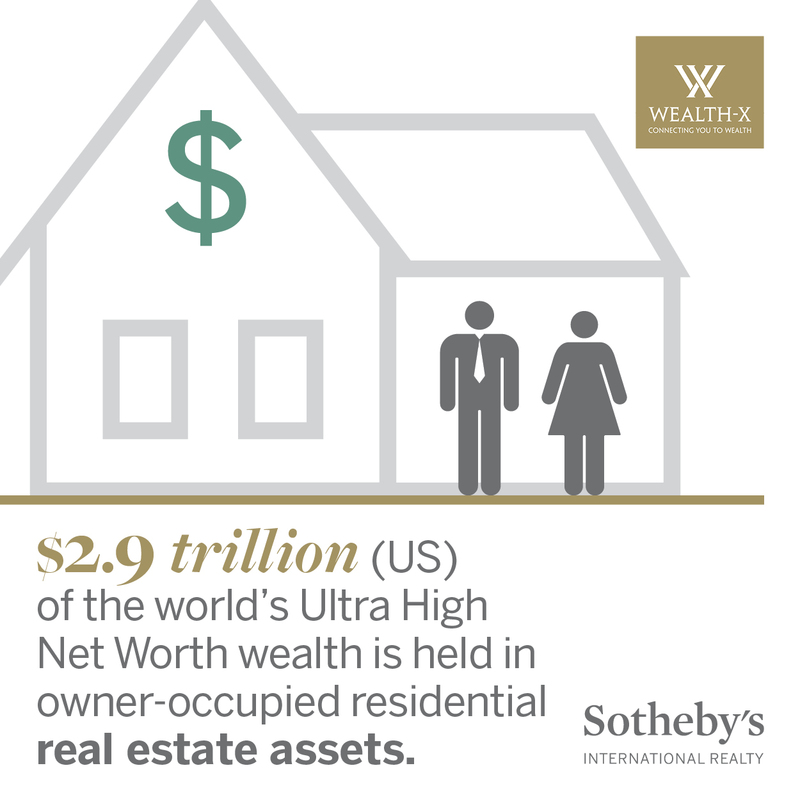 In fact, Sotheby and Wealth-X declared that the purchases of UHNWs are greater than the GDP of India. North America: In North America, there are about 6.2% of UHNWs accounting to more or less 74, 865 individuals. If combined, the assets of these people mount to US $10, 265 billion. Europe: In Europe, there are about 6.5% of UHNWs accounting to more or less 61, 829 individuals. If combined, the assets of these people mount to US $8, 355 billion. Asia: In Asia, there are about 4.8% of UHNWs accounting to more or less 46, 635 individuals. If combined, the assets of these people mount to US $6, 975. Middle East: In Middle East, there are about 12.7% of UHNWs accounting to more or less 5, 975 individuals. If combined, the assets of these people mount to US $995 billion. Africa: In Africa, there are about 8.3% of UHNWs accounting to more or less 3,005 individuals. If combined, the assets of these people mount to US $395 billion. Pacific: In the Pacific, there are about 5.4% of UHNWs accounting to more or less 4, 170 individuals. If combined, the assets of these people mount to US $515 billion. Latin America & The Caribbean: In Latin America and the Caribbean, there are about 4.6% of UHNWs accounting to more or less 14, 805 individuals. If combined, the assets of these people mount to US $2,225 billion. 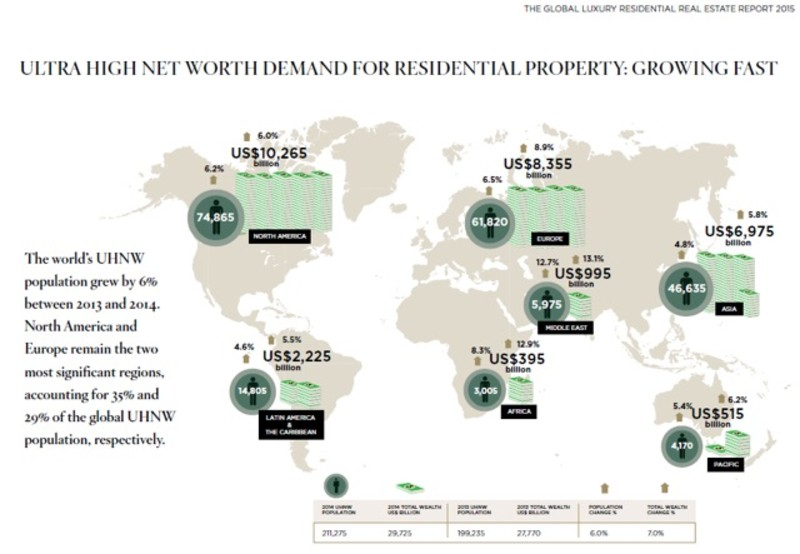 UHNWs individuals prefer to buy luxury residences in New York City, Hong Kong and London. There are also locations that are gaining popularity like Lugano and Hamptons. The highest number of foreign owned UHNW residences is concentrated in Monaco. We also need to know that Singapore is considered as the hub of UHNW individuals. The report divulged that Singapore is the 7th most popular spot for purchasing overseas property by UHNW individuals. The foreign owners here include Indonesia, China and India.